Contributor and drone pilot Travelogueone created this lovely aerial video of a town on India's western coastline. Dapoli is situated on the Arabian Sea in the state of Maharashta. It's in the Ratnagiri district, about 215 km (about 135 mi.) south of the great city of Mumbai. In Colonial times, it was a military camp, and it's the burial place of many British officers. In the video, you will get a visual sense of the countryside of Maharashta, which is the second most populous state in the country. 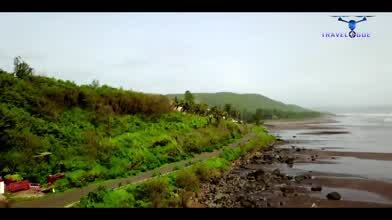 Description: Dapoli is a beautiful coastal village i Maharashtra India, with good rail and road access. It is around 250 KM from Mumbai.